IF YOU’RE NOT ON THE FLOOR, YOU’RE NOT IN THE STORE! New consumer product brands require a billboard effect to get noticed at retail stores. 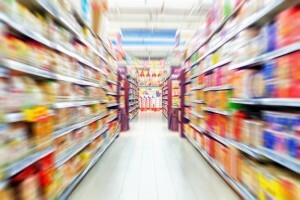 Why would any shopper notice your branded product on a shelf packed with a myriad of other choices vying for attention? Getting shelf space is great, and making it into the official set in your category is even better. But until you’ve made it to the floor, you’re not in the store – at least as far as the customers are concerned. Generally, they’ve never heard of your new brand, making it unlikely that they would find it on the shelf. Most shelf sales are for products with well-established brands that are readily recognized and whose customers know right where to find them. 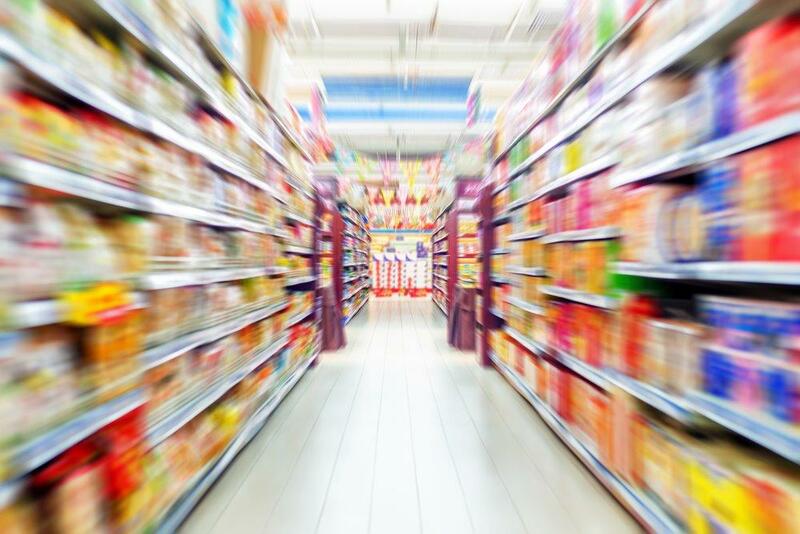 Sure, some customers may stumble upon your new brand on the shelf, but from our experience, it’s much more likely that they would stumble upon it in the aisle. When we started Barefoot Wine there were many stores that said they didn’t have room for us on the shelf. For years we sold off the floor in those stores. And amazingly, did much better than the stores that put us on the shelf. Why? Because we had a billboard effect with our branding. On the shelf we usually were allowed only two “faces” showing of the same kind of product. “Faces” are the number of labeled products allowed side-by-side due to limited shelf space. But with our floor displays, we could get multiple faces showing, and the logo-labeled cartons with big display signs as well. These displays were in-store advertising at its best. So how did we get the coveted floor space? Retail Entertainment. We always say the best sales pitch is “I can help you sell your product!” So we realized that our retailers had a mission (their “product”) to create an exceptional customer experience to distinguish their retail store, so their customers would be loyal and become store advocates. We would help their store become more attractive by “decorating” for the various seasons and holidays with our display pieces. Seasonally-themed displays were seen by the retailers as enhancing their mission. Timing and Patience. Sometimes our display proposals were turned down because all the floor space was taken and future space was booked. We were patient and took what we could get, even if it was a year out. Typically we could secure floor spaces 6-9 months in advance. Programming and Pricing. Most often our requests for displays were accompanied by a programming proposal that provided reduced pricing to encourage the stores to consent to bigger displays. The price reductions were shared by us, the retailer, and the wholesaler, since all benefitted from the increased sales. Islands and Waterfalls. Within any store is a circulation pattern with many twists, turns, and pauses. The ideal placement for an in-store display is where those pauses occur. They may be at the check-out register where there can be a wait, or in the case of a food store, the butcher shop. Side stacks, also known as “waterfalls,” are usually only a few cases. Islands are free-standing and shoppers have to go around them. But, the king of in-store displays is the bay end, end isle, or end cap because they are generally the largest. Feeding and Care. Once you get the display, continue to keep it full and current. This is how to create larger and ongoing volume sales. It’s also your chance to justify maintaining your display to the retailer. Show up with fresh seasonal sales materials every few weeks to save your position. And don’t forget to take the re-orders! Remember, if you’re not on the floor, you’re not in the store!